The only people getting any benefit from this bubble are Pearson Vue and the "disrupt education" keynote tendency. Have to disagree. Give this a chance - it's embryonic. Like many, at University (Top UK and Ivy League) I experienced the overlong, dull lectures, which many students simply didn't ans till don't don't attend (attendance is not even recorded). I too waited days, even weeks for essays marked with a few cursory comments and a single letter grade. Poor teaching, poor lectures, poor feedback is endemic in HE. Take a few MOOCs - the content is strong (best of breed academics), feedback immediate, useful and good. Remember also that MOOCs are not built around the 18 year old student model. They're opening up Universities for all. 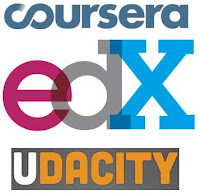 My argument, Phil, is that MOOCs have picked up pedagogies from MOOPs (not existing University practice). They're stimulating debate, reflection and action. Take video - it's YouTube, TED and Khan that have shaped the way video is being used pedagogically (shorter - or as long as it needs to be) as well as no lecturer and in-video questions. This is a far cry from the standard 1 hour, padded out lecture, sometimes but not often recorded in Universities. The adaptive software, used by Cogbooks is not 'robotic' and the peer techniques (pioneered by Mazur and others) are being pushed forward, because there's a wil and a way forward. On assessment the open source essay marking software looks strong. As for Pearson VUE - I don't have a problem with proctored exams for a fee. That's what we do for our driving test and other skills.. This is far more than talk fodder for me - I was Board member of Leandirect (who have the driving test contract) for many years) This is all about the learner, not protecting poor, pedagogic, practice in its current form.